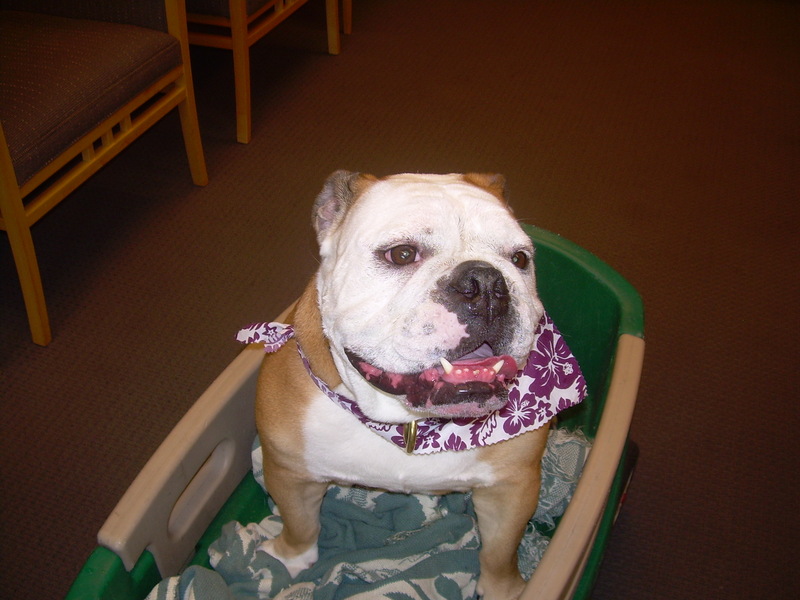 Rosie is a 6-year-old bulldog who belongs to Dockside resident Joey Donahue. Here, she’s sitting in her wagon right after enjoying a “spa day” at a new pet salon on 3rd Street, where she was pampered with a bath, shampoo, being brushed and having her nails done. (We should all have it so good!) In addition to spa treatments, Rosie loves riding in her wagon to enjoy her favorite treat – vanilla frozen yogurt. Joey calls Rosie’s wagon the “Queen’s Coach”… and we can certainly understand why!